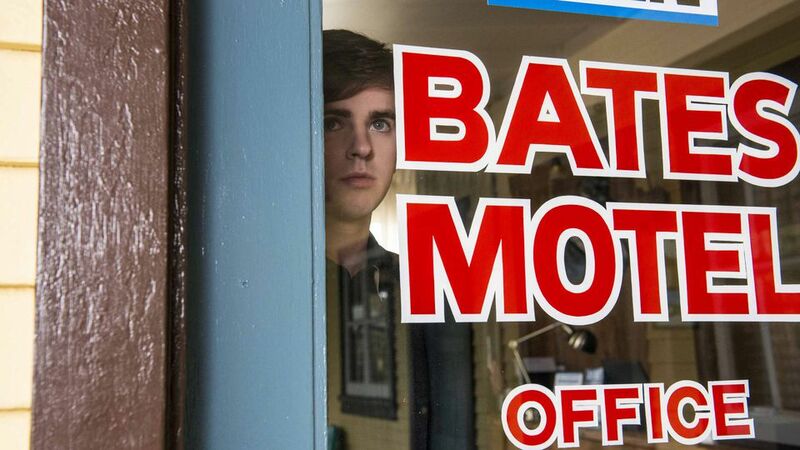 The long awaited moment of Bates Motel premiere has finally arrived! Norman and Norma are back with some more crazies for this season and things are about to get more complicated than ever. 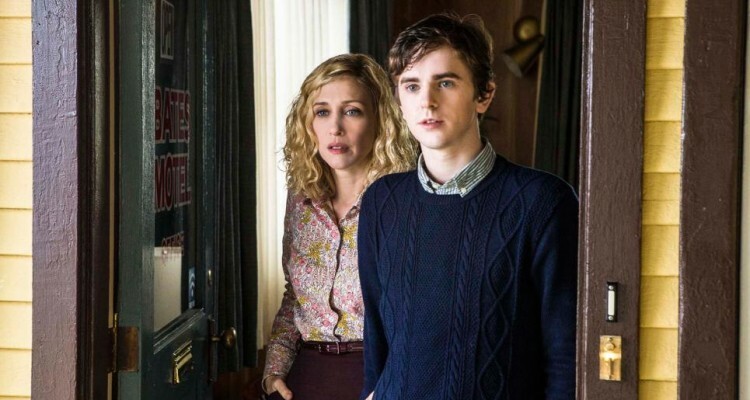 This post contains some major spoilers so if you haven’t yet viewed the episode, turn away, watch the show and come back to hear what verdict we have for the grand return of Bates Motel. The episode begins as we find Norma and Norma waking up after napping on the same bed. Talk about mommy issues. Dylan sees it and wisely mentions to Norma that it wasn’t “normal” for an eighteen year old boy to sleep with his mother. While you, me and the whole world can side with Dylan on this, Norma seems to think it is no big deal. 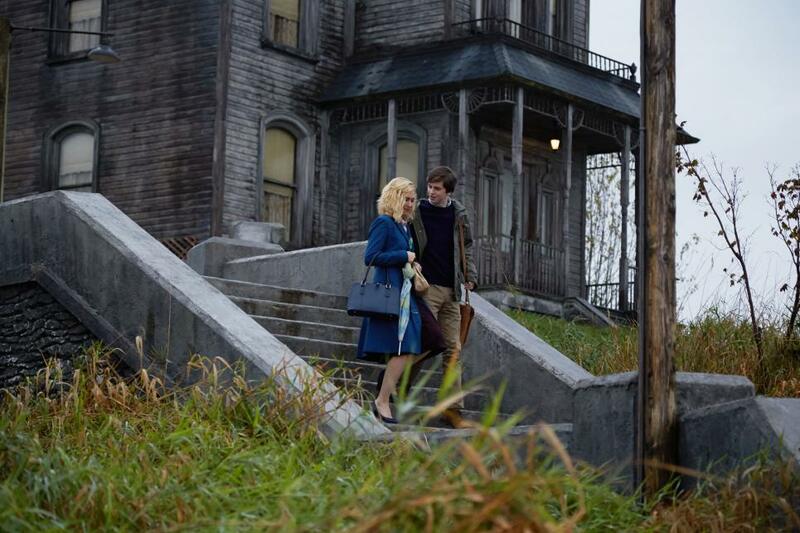 But looks like Norma puts more thought into it later as she makes Norman sleep his own room in the next night. However, Norman seems quite pissed about her decision, which is just so absurd. After the awkward mother-son conversation is over, Dylan heads out and Norma gets a phone call revealing that her mother has passed away. Not to our surprise, Norma seems completely indifferent to the news and plainly states, “I’m not interested but thank you for calling.” Norma informs Norman about this news and adds that she hadn’t seen her mother for twenty years and her sudden demise was not going to change anything. Norman goes back to school after a long summer break but he could not be any less excited. When at school Norman refuses to get out of the car, Norma literally drags him out and throws him off the car. Inside the school, Norma sees a photo of Ms. Watson and later in the cafeteria he imagines her sitting next to him, holding his hand and talking about English literature. A moment later she starts bleeding out and Norman runs away from school, scared. After getting home, Norman tells his mother what he had experienced and Norma asks if he blacked out but he didn’t. Does this mean the delusions are getting more powerful? But before this conversation gets any further, we are joined by a new motel guest, Annika. Norman, who was all shaky from his experience and from running all the way home, suddenly seems much more at ease. Unlike Annika, Norma doesn’t seem to like the kind of attention Norman is paying the pretty new guest. So, shrewdly, Norma emphasizes how she need to take her son upstairs because he came back from ‘school’ for not feeling too well. Looking a little disappointed, Annika gets her keys and checks into room number four. Dylan confesses to Sheriff Romero that he did not want any part of the drug business in his life anymore. Romero replies that if they were not working together then he would not be able to protect him. Dylan insists that if he does nothing illegal then there is no need for any protection and Romero seems to agree. We’ll have to wait and see how that works out. Caleb comes to visit Dylan once again and bears the news of his mother’s death and some money to give Dylan. 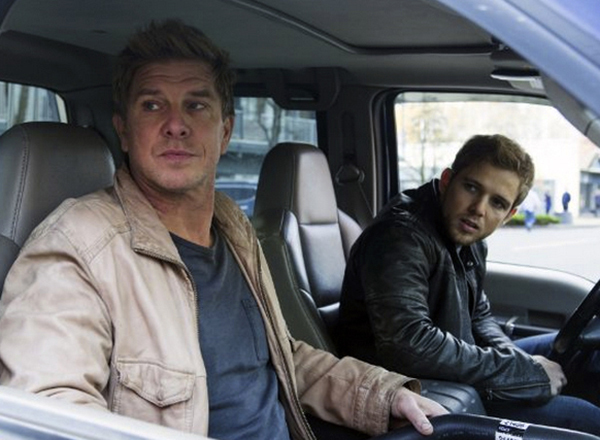 Just like you can expect from the doing no wrong Dylan, he refuses to take the money and sends Caleb away. They meet again the next day and because Caleb’s car had broken down, Dylan gives him a ride to the garage. Caleb finally starts talking about what ‘it’. He says that he had figured out that he was Dylan’s dad. Caleb also mentions that with their crazy mother and violent father, he and Norma felt safe nowhere else except for with each other. But the say he said it, did not sound like he abused Norma, but still soon to tell. We hope to see the actual flashbacks revealing the mystery behind Norma’s stories soon in this season. Caleb practically begs Dylan to let him spend some time with his son and Norma never needs to know that he was here. Dylan shows no strict objection for now. Back at the motel, Norman is helping Annika with her busted ceiling light. She reveals then that she works at parties, the kind with a lot of wealthy men. Norman has a weird reaction after leaving the room and we suddenly can’t help but be a little concerned about Annika’s safety. After giving it some thought, Norma decides that Norman will be home schooled and she assigns Norman the position of motel manager. And finally violating all boundaries, Norma peeks through the window as Annika is taking a shower in her motel room. 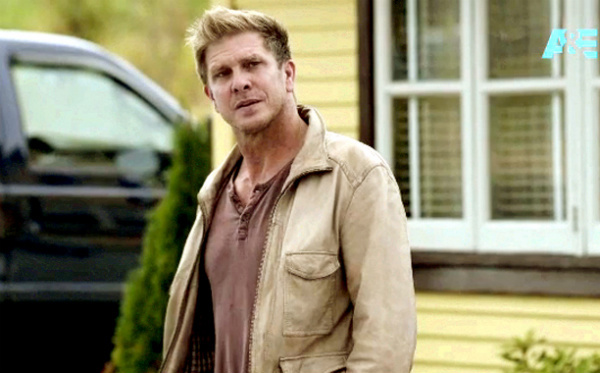 Interestingly, Norma catches her son in the act and drags him back to the house. Norma actually states that it is not normal and he could not do it because he was now the motel manager. Is that actually the big taboo here? Norman has nothing much to say about this. He doesn’t even seem particularly embarrassed. He just states that his mother was right and walks upto his room. Purely-cold-blooded. Later Norman finds his mother crying in her bed and thinks she was crying because he peed through the window. 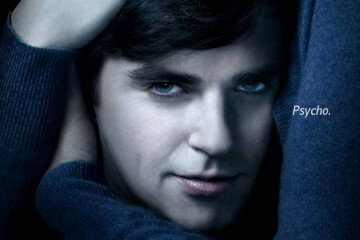 Hilarious, but not particularly implausible, consider it’s Norma and it’s Bates Motel. Norma says that she was crying for her mother and adds that she never really knew her mother. She also believes that the reason for her sadness was that she never really had a mother. Is that why Norma has no understanding of how to balance her motherhood? Probably. We finally have Emma back at the show. She tells Norman that her lung capacity has shrunk greatly. On hearing that she wanted to be home schooled too, Norman offers her to be home schooled too. And out of nowhere, Norman asks Emma out! He suspiciously says, “it’s time.” As the young could are talking about school, homework and dating, Annika interrupts, asking directions for a restaurant in the village. Norman offers to take her and Emma clearly finds the entire situation unsettling. While driving Annika starts talking about her work and how she ‘takes care’ of men. Norman suddenly seems to have undergone a transformation, again. After a while, Norman drives up back to the motel, in Annika’s car. Only problem, Annika is nowhere in sight.